Fr Frankie pops in to say ‘hello’ at church show! 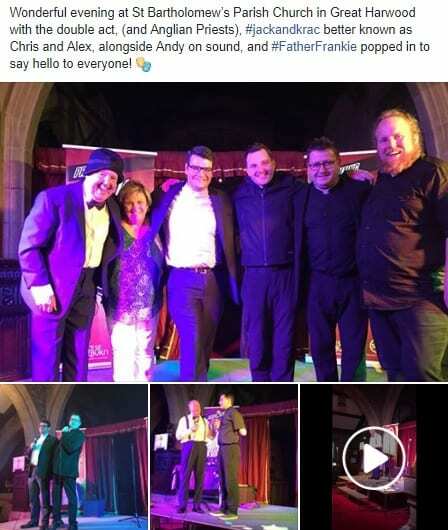 One of Jimmy Cricket’s sons paid an impromptu visit during a show in east Lancashire. 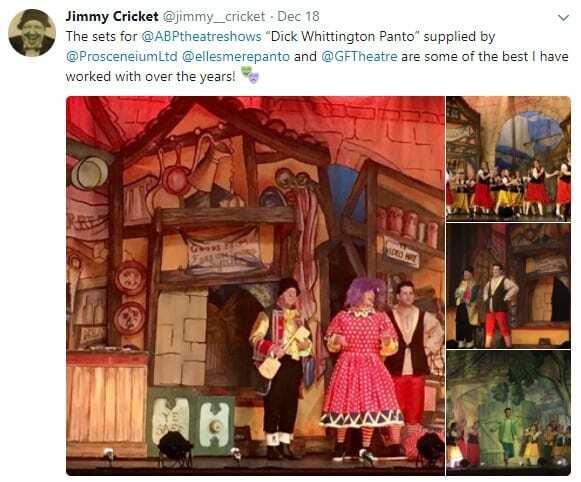 Famous entertainer Jimmy, 72, was performing on the same bill as Fr Alex Frost and Rev Chris Krawiec, two Church of England curates known as the double comedy act Jack and Krac. And comedian-turned-Roman Catholic priest Fr Frankie Mulgrew turned up at the event which took place at St Bartholomew’s Parish Church in Great Harwood. 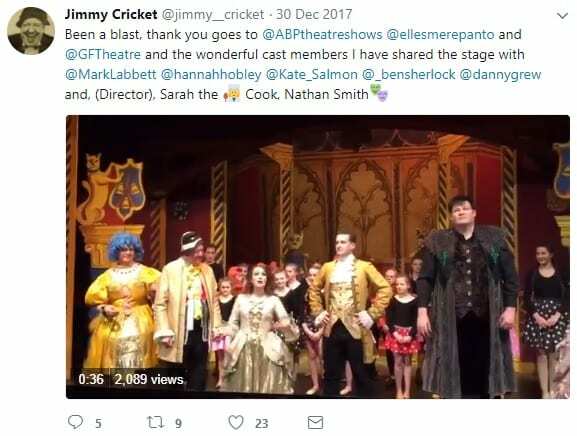 Опубліковано Jimmy Cricket Субота, 21 липня 2018 р. 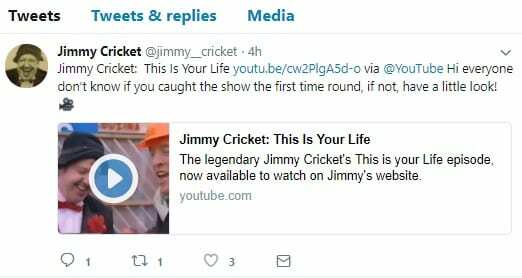 A look back to when Mrs Cricket was also surprised on TV’s This Is Your Life! 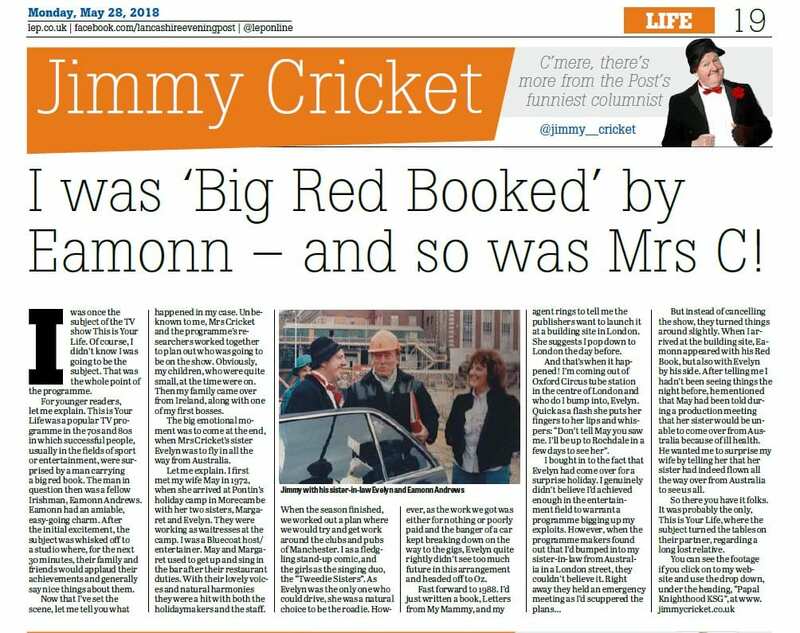 Jimmy Cricket has been recalling the day he was presented with the famous ‘big red book’ on This Is Your Life – and how his wife May also got a massive surprise! 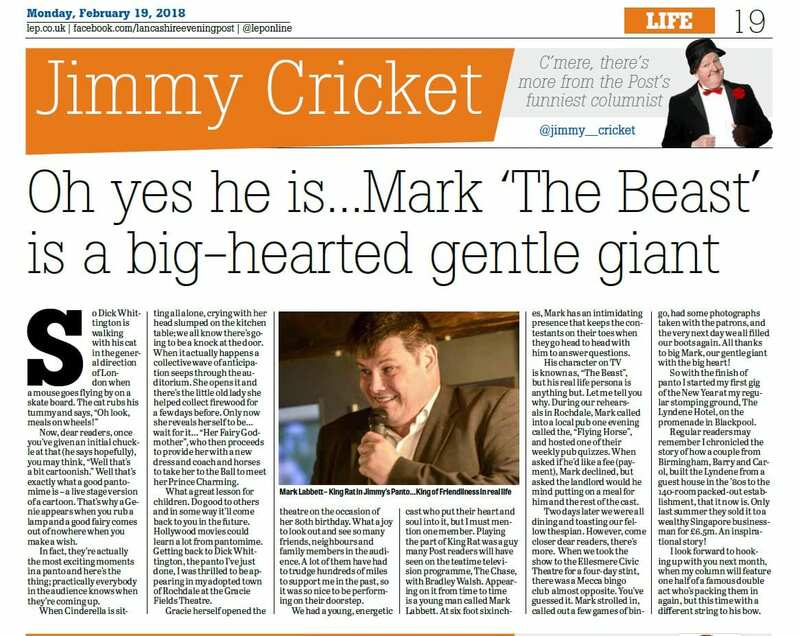 In his latest column for the Lancashire Evening Post, Jimmy explained how in the late 1980s he had been asked by his publishers to go to London for the launch of his Letters From My Mammy book. Jimmy was informed the event was going to take place on a building site the following day, when in reality he was going to be met by This Is Your Life presenter Eamonn Andrews. In the popular and long-running show, the host would spring unexpectedly on a special guest, before going to a studio to take them through their life with the assistance of the ‘big red book’ and the help of friends and family. The surprise element was a very important part of the show; if the guest heard about the plans beforehand, it would immediately be abandoned. After arriving in London, Jimmy bumped into his sister-in-law Evelyn much to his amazement (and hers! ), as she had moved to Australia several years earlier. Evelyn had been asked to come back to appear on the show and clearly hadn’t expected to meet Jimmy in the street, but she managed to come up with a story that she had returned to Britain as a special surprise for her sister May, Jimmy’s wife. 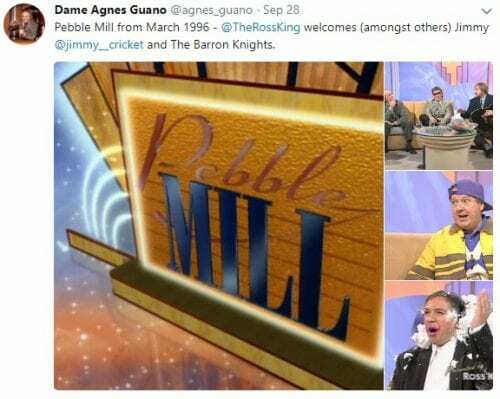 Hence, as things turned out, Jimmy was able to turn the tables on May during the show by telling her that Evelyn was in fact there (May had been told her sister could not make it). This Is Your Life was originally broadcast live, and alternated between on the BBC and on ITV over the years. Jimmy Cricket will be performing in the same show as comic priests Jack and Krac in July. Fr Alex Frost and Rev Chris Krawiec (pictured above) are two Church of England curates based in East Lancashire. 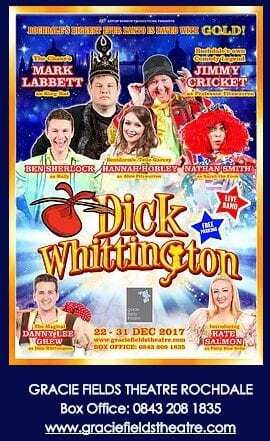 Together they form the comedy duo of Jack (Alex) and Krac (Chris), and they will be performing at St Bartholomew’s in Great Harwood along with famous entertainer Jimmy on 20 July at 7pm. View one of their comedy clips here. 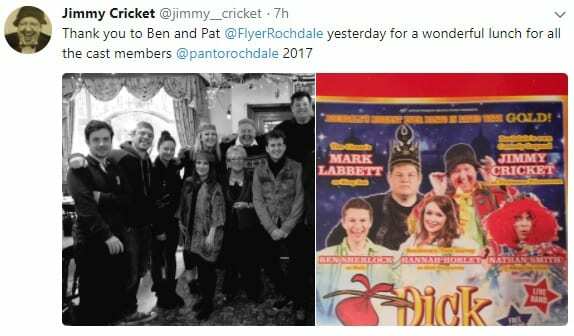 The duo posted on Twitter recently that they will be returning “for another night of comedy starring comedy legend, the one and only @jimmy__cricket . 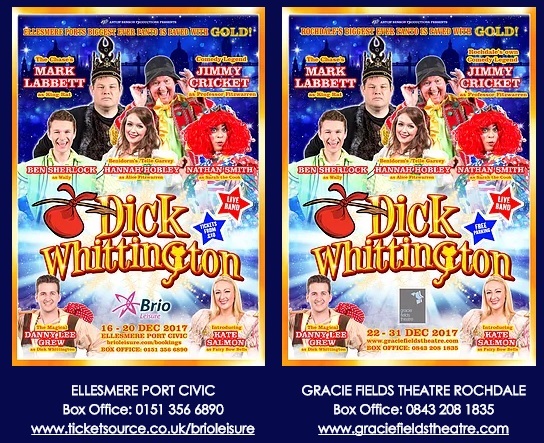 Tickets available from 16th May. This is a wonderful intimate venue and so tickets are very limited!”. They had previously been approached to audition for ITV’s Britain’s Got Talent.